Our price tags are an essential item of any retail business. 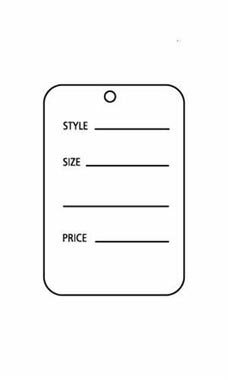 This tag is offered in classic white and features text to write in a style, size and price of the merchandise. This tag measures 1-1/4"W x 1-7/8"H.